Rolled into the shop on a Saturday for my oil change and Kevin was exceptional with service. Easy to get signed in and the waiting area was comfortable. After an hour, I was done and on my way again. I purchased my Honda at Lindsey in Pickerington, but Germain is much closer for me. I felt that I was taken care of properly, greeted warmly, and no issues. Looks like I found my forever place for service. Would not buy a car anywhere else. They have the most knowledgeable salesman. They are not pushy and make you feel comfortable with your decisions. Kevin listened to what we were looking for and gave us exactly that. No pressure, no hassle, fast and friendly! I highly recommend Kevin and Germain Honda of Dublin! Stephanie was fantastic from the initial greeting to the final goodbye. She had my best interest in mind and was able to answer all questions I had. She was helpful with the trade in of my old vehicle, listened to what I wanted in a new car and was able to find it all. The entire process was seamless and efficient. 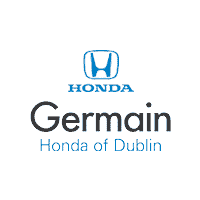 If you’re looking to purchase a vehicle in a fast time frame I would recommend Germain Honda of Dublin! Matt was very helpful and made the process go as fast as he could! I had all of my questions and concerns answered and left with my car the same day! Kelly was so friendly and fun to work with. We did not come in to the dealership planning to buy a car, but Kelly was so knowlegeable and friendly and made the whole buying experience enjoyable. We will definitely be returning to see Kelly for our next car purchase. The salesman did a good job. I was in a rush, but they were able to finalize my purchase in less than an hour. Everything went very smoothly. From first inquiry online to my out the door purchase, couldn't have been any better. My salesperson Jheni Felix was super courteious, very professional. Very comfortable with my purchase. From coming out of town. This dealership made us feel at home and were very kind. I did not have much credit but they worked with me to get a car at a good price!! I was terrified when I arrived. This was my first time buying a car. Matt was kind and understanding to what I needed. He was very kind to my son as well. He did not pull any punches. Told me every detail about the car good or bad. He even had a list of other cars in case I didn't like the one I chose. He walked me through every step of the car buying and process and stood by my side from beginning to finish. If this is you first time buying a car, go and see Matt. Noone will take better care of you. He is there for you not for the sale. Shout out to my financial advisor there. He found me a better finance deal somewhere other than where I had gotten pre qualified for and cut my interest rate in half!!!! !